Since you guys really seemed to like these Fall Starbucks Cups Stickers I’ve decided to turn one of these coffee cups into october’s calendar divider. 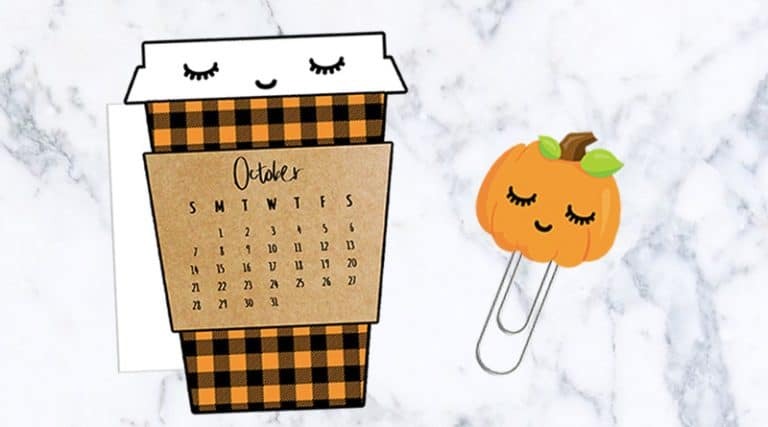 So here’s your new calendar divider + paperclip printable duo to decorate your planner in October: it’s a perfect mix of comforting hot beverage and cute pumpkin! I’ve also added a little donut in case you want an extra paperclip. All of it, with fall colors of course. 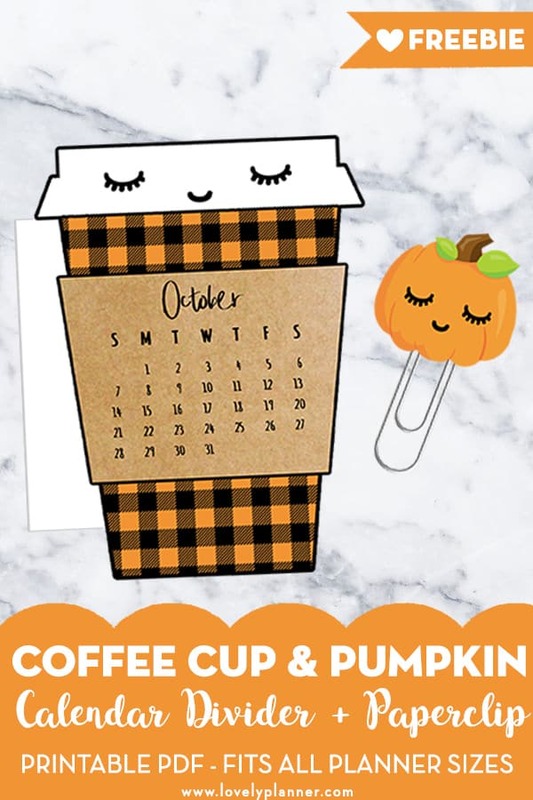 If you want to match this coffee cup calendar with other stickers make sure to check out my Starbucks inspired free printables. THANK YOU SO MUCH ! !juat got a printer this will be my first print out !!! Thanks again !! Super Cute !! Definitely going in my planner !! I can not wait to see what 2019 brings. I just stumbled upon your site and absolutely love these inserts.